Autobiographies of Transformation is a completely unique history of sociology in Central and Eastern Europe in the post-Communist era. Through the autobiographies of ten key sociological witnesses from the region, the sociological imagination is turned upon itself, resulting in a compelling and revealing account of the struggles, triumphs, and continuing challenges faced. The sociologists examined fall into three cohorts: early, mid and late career. As participants, each of the sociologists included has witnessed the intersection of history and biography in Central and Eastern Europe. As sociologists, they have tried, and continue to try, to connect the two so that they and their fellow citizens may better understand their circumstances and the futures that may follow. This revealing book, ideal for students and researchers of sociology, and Central and Eastern Europe studies, provides powerful and compelling autobiographical accounts, relating them to the current interest in this area's transformation. Mike F. Keen is Professor of Sociology and Director of the Master of Liberal Studies Program at Indiana University South Bend. His research interests cover the history of sociology, theory and urban studies. He is author of Stalking Sociologists: J. Edgar Hoover’s FBI Surveillance of American Sociology (Transaction Publishers, 2004). Janusz L. Mucha is Professor of Sociology and Chair of the Department of Sociology and Social Anthropology at the AGH University in Cracow, Poland. His research interests include the theory and history of sociology and social (cultural) anthropology, as well as minority studies. Europe is currently undergoing massive change. In the former Eastern Europe, societies are adapting to post-communist regimes and economies and facing the implications of war in the Balkans. In the west the increased integration of the European Union impacts on every aspect of legal, economic and political life. The whole of Europe is going through major transformations in terms of gender, race and class. 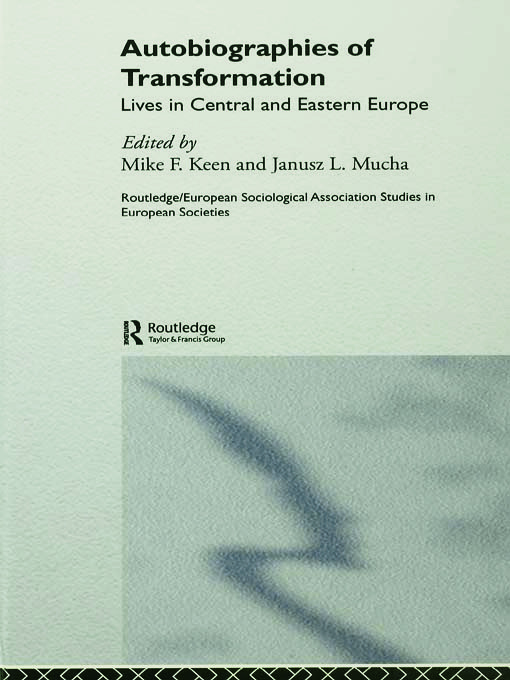 This series published by Routledge with the European Sociological Association, provides a forum for sociological responses to these developments.